My wife, Arlene, is at center. The others are her parents, two of her sisters, a brother, two aunts, and two nephews. 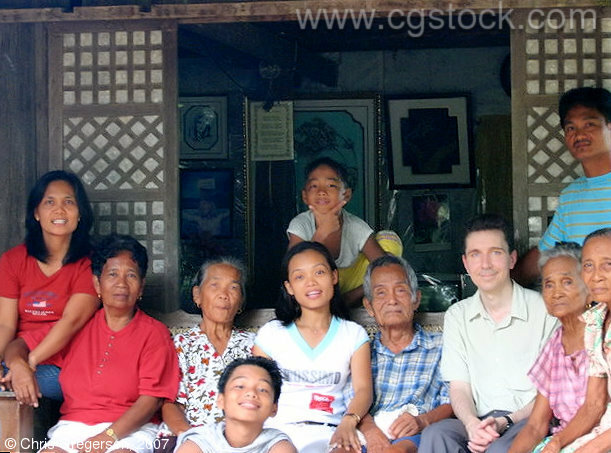 We are outside her parent's traditional Ilocano house in the Philippines.